My love of books came naturally--an inheritance from my grandmother, who always told us that “our only wealth was what we had in our heads, what we learned, because all else can be taken away.” As a Hungarian, she knew this well, having lived through two World Wars, a revolution, and Communist rule. I still hear her words and they are my guide in everything I do. Although the business side of bookselling was new to me, the incessant drive to have my own store finally bore fruit in 1982. I didn’t have a million dollars. The abandoned state of downtown gave me the chance to invest all my money in inventory, since rent was nearly free. We fixed up the basement and turned it into a café. 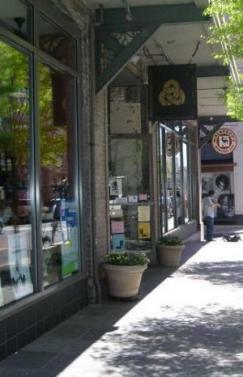 My bookstore was 2000 square feet of the most magical space in downtown Asheville, and I named her Malaprop’s. I wanted Malaprop’s to be a place where poetry mattered, where a woman’s words were as important as a man’s, where excellence was customary, where good writing had a home, where I could nurture my addiction to literature, and play, enjoy, and entertain people drawn to quality books. In our 15th year of business, Malaprop’s relocated to our current location. The building had been built by Asheville’s founding fathers, built for their Elks club, a place that women could not enter. How could I refuse that kind of redemptive offer? Financial assistance from a group of customers enabled us to make the move. On moving day, people lined up on the sidewalk to chain-move the boxes of books. A man driving by stopped and offered us foldable bookcases. Over the years, we have continued to receive the generous encouragement and support of our community; and we make every effort to return their loyalty. Thirty-six years after the birth of Malaprop’s, our store is still a great success. 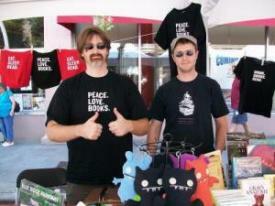 Our book buyers believe in their tastes and their choices. Our baristas are ready to greet you with a warm cup of coffee, and rarely will you find our booksellers at a loss for a ‘good read’ recommendation. Today, our goals are the same as the ones we committed to in 1982: to be the best little bookstore in the land; to enjoy what we do while we’re doing it, and to ensure that bookselling remains a fine and noble profession. As a political exile from a communist country, I cannot overemphasize my passion to provide a space where freedom of expression is supported, where important literature—from authors backed by major publishers to those who self-publish—is available to all, where censorship has no place, where respect and service are practiced daily, where women feel safe, where all are welcome, and where books are the stars. 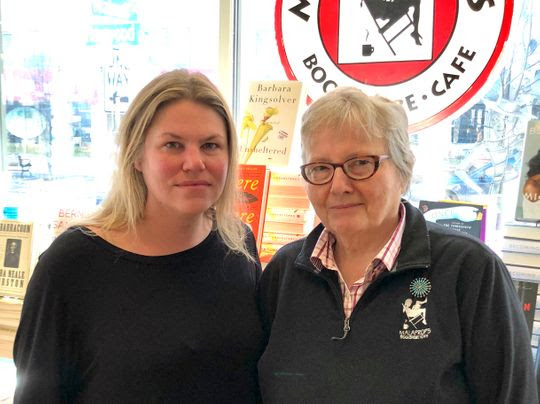 Veteran staff member Gretchen Horn became the majority owner of Malaprop's Bookstore/Cafe and Downtown Books & News in January of 2019. Horn began working at Malaprop's as a barista in 2001 and held the positions of Barista, Financial Manager, and Director of Finance and Operations. Despite the transition, B'Racz said she does not consider herself retired: "I don't know how to retire. That's my new job, to learn how to retire. But I'm up for it. I'm up for that challenge." 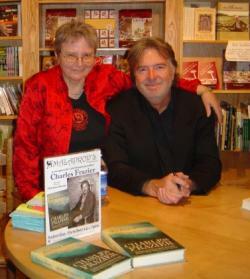 Growing up in California's Silicon Valley, Horn said she didn't come to appreciate independent bookstores or their role in a community until she started working for Malaprop's while attending the University of North Carolina-Asheville. "At the time, I just really wanted to work in a coffee shop," Horn recalled, though she quickly learned that Malaprop's wasn't quite like other coffee shops she'd known. "So I've gotten a lot of free coffee, free books, and free events for the last 17 years," she said. "I love it here. I work for Emöke. And I essentially still will be because I want to retain her vision. I will always work for Malaprop's, which is a place that Emöke created." Horn has no plans to change the business. "I want people to have books, I want people to be happy when they come into the store, and I want to serve the community. As long as those needs are met, then I can be proud," she said, adding: "Asheville is a special place that calls out to artists, writers, and creative people. 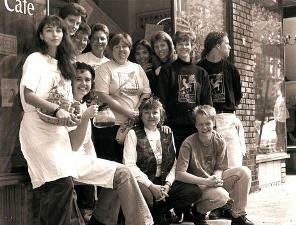 I know Malaprop's can be part of revitalizing that creativity, just as it helped downtown Asheville get off its feet 37 years ago. I am excited to continue and further my love of books at the helm of two of the finest community bookstores. My hope is to change little, retaining the magic they have held since opening their doors." A character in Richard Brinsley Sheridan's play ‘The Rivals’ (1775), Mrs. Malaprop consistently uses language malapropos, that is, inappropriately. The word malapropos comes from the French phrase mal à propos, made up of mal, “badly,” à, “to,” and propos, “purpose, subject,” and means “inappropriate.” ‘The Rivals’ was a popular play, and Mrs. Malaprop became enshrined as a common noun, first in the form “malaprop” and later as “malapropism,” whose usage was first recorded in 1849. “She's as headstrong as an allegory on the banks of the Nile” and “He is the very pineapple of politeness” are two of the absurd pronouncements from Mrs. Malaprop that explain why her name became synonymous with ludicrous misuse of language.